Now that the holidays are over, tis the season to make returns, capitalize on post-Christmas sales, and be a little selfish. It's a new year and it's a new you...right? Well, in my attempt to redo my wardrobe, I've needed help. I haven't needed help finding things I love, but I've needed help finding things I love within my price range. I needed some sort of little bird in my ear telling me where I can find nice quality clothes in my style for not a lot of money. I didn't get the bird, but through some research, I did find a lot of helpful free apps that have guided me to sales, better prices, and coupons galore. 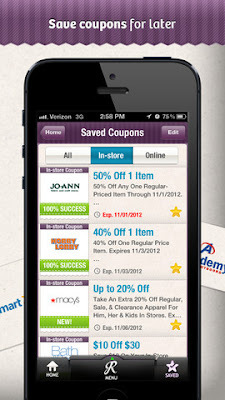 Popular mostly for its coupon website, RetailMeNot on the go is just as good (if not better). Check out in-store and online deals, discounts, and coupons for many popular stores and online shops. Red Laser is such an awesome concept, and so great when it comes to buying products from department stores or stores that hold a lot of different brands. With your smartphone, use the "scan" button to scan the bar code of any item. Within seconds, watch as Red Laser finds prices from other retailers for the same item. Always be sure to get the best price for whatever items you want! 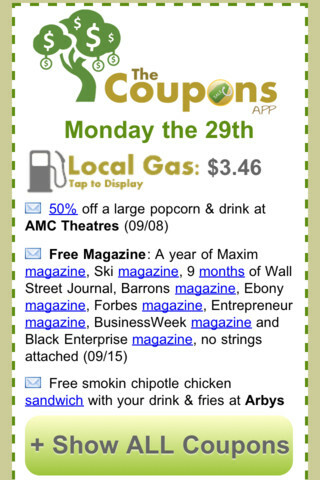 The name kind of says it all...this app has a lot of coupons. 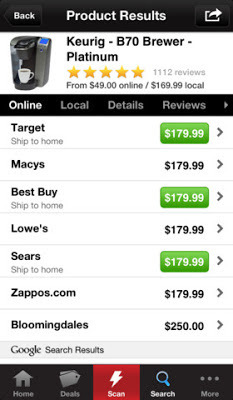 It uses your location in order to find the best deals/coupons in your area. This would be very useful for college students, because it basically tells you where you can get free or discounted food, clothes, gas, and more in order to get you by for less. I feel like this app is way underrated. 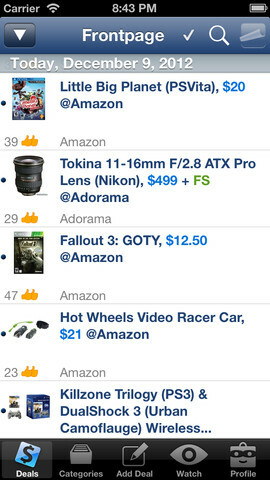 This separates its deals into categories based on your interests. It shows you deals and discounts on clothes, shoes, exercise equipment, accessories, and much more. It's kind of like shopping in an online store, but it compiles tons of different items from all over the web. This is one of my favorite apps to browse through daily. Deals are uploaded every day for all different item discounts or over store discounts. I use this app specifically whe I'm trying to think of gift ideas, because you can get so much for your money with some of these deals that you wouldn't have found otherwise! I highly recommend this app (thought it can be dangerous during Black Friday season!!). Please comment and let me know of other apps that make your shopping experience more convenient for you (and your wallet!). Thanks for the great suggestions! 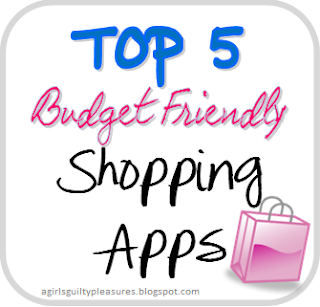 It's so overwhelming to find good apps, I'll definitely be checking out Red Laser and The Coupons App!! Glad you found my post useful!! 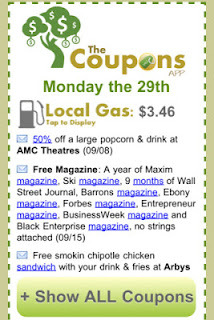 I have had The Coupons App for a long time now. i've seriously lost track of how much money i've saved with it, but it's definitely in the hundreds of dollars range. A conservative estimate would be over $400 to 500 right now. i use it when i go to the craft store, clothes shopping, and when we want to grab a bite to eat when we are out. The hubby is always asking "got any deals on your phone?" when we are out and i love it! Wow! That's great to know how effective that app is!